The all-round carefree package for the little idyll in the garden. Compact filter unit with integrated 11 watt UVC technology for guaranteed clear water and 2500 l/h pump. 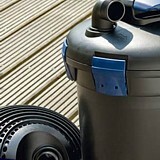 Suitable for ponds with water volumes up to 5000 litres. Contains 4 different filter materials. Including 3 different nozzle attachments for individual water features. Telescopic extension for adapting the nozzle to the pond surface. T-piece for operating water features, with stepped hose adapter. Connection possibility for aeration pumps. Individual adjustment of flow rate and fountain height. Submersed installation, the attractive appearance of small ponds remains undisturbed. The ideal introduction to proven OASE filter technology. The OASE BioSmart filter ensures clear and healthy pond water thanks to the combination of a large filter foam surface and integrated UVC technology (biological-mechanical cleaning). 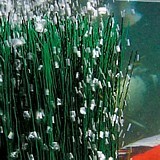 UVC technology for safe elimination of algae and pathogens. Oxygen enrichment through special water channelling. The proven cleaning handles enable convenient filter foam cleaning, without removal from the filter. The integrated pollutant level indicator signals the right time for cleaning. Integrated sludge drain for simple removal of coarse debris from the filter. 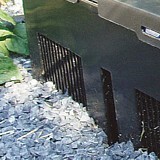 The filter can be recessed into the ground up to 1/3 of its height. 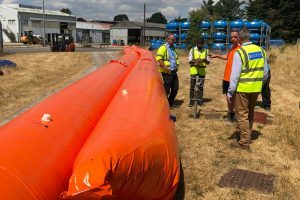 Ideally matched to the OASE Aquamax pond pumps. 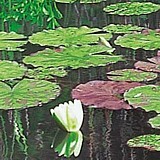 A regulated, high-quality filter system spares every pond owner a lot of irritation. 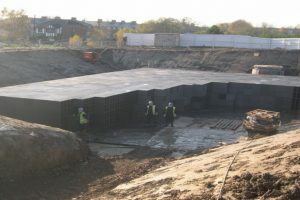 You can do all you want in terms of cleaning the pond – however only the implementation of a filter can sustainably influence the quality of the water. 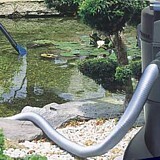 Scientifically tested complete filter systems for effective cleaning of ponds of different sizes. Consisting of a Biotec mechanical-biological filter, a Bitron UV Clarifier and an Aquamax/Promax filter pump. Whether due to a new design interest or increased fish stock levels, most ponds will be changed and adapted several times. Statistically considered, every pond will be changed and adapted several times. With BIOsys you have a filtration system that consists of various components and performance classes, which can be modularly extended without complex construction work. OASE has put sets together for you to ensure a successful introduction. Of five different modules (material: Duroplast) you can configure the perfect filtration system for your individual requirements with PROFICLEAR. 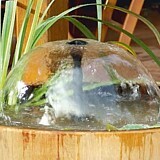 The definitive solution for koi ponds, large swimming ponds, ponds with few fish, or those completely without fish. Guaranteed clear water thanks to mechanical-biological cleaning combined with effective UVC technology. Incl. proven Aquamax 3500/5500 filtration pump. 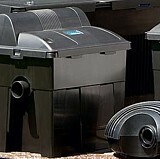 The filter can be easily cleaned via the cleaning handle. Quick-lock provides easy filter opening and closing for maintenance purposes. Different filter materials for optimal settlement of filter biology. A higher elevated watercourse can be supplied with cleaned water. A pond with pure water has a fresh, natural effect. You can obtain this clarity effortlessly with the right technology. And thus your garden pond becomes a point to observe nature – actually a front row seat. 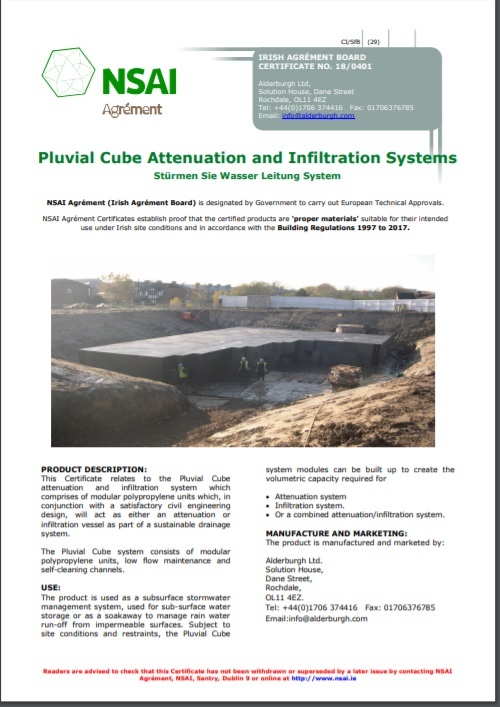 An aeration system developed specifically for outdoor use. 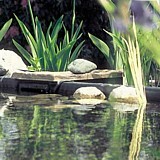 Two air stones supply the pond with up to 1000 litres of air per hour. 12 V extra low voltage ensures the highest level of safety. 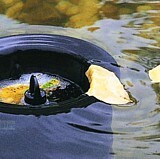 Oase have two great pond aeration systems available. 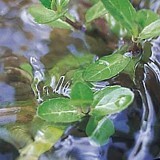 Clear water is essential for all life in the pond as the health of both plants and animals depends on water quality. Visible pollutions can be removed easily. 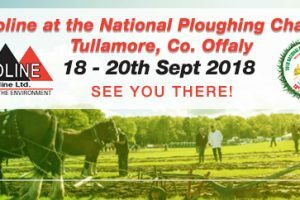 For more information on all these products click here. Copyright © 2018 Geoline Ltd. All rights reserved.